Please call us at 732-410-4789 to schedule an appointment. Alternatively, you may e-mail us at info@thompsonplasticsurgerycenter.com. Our friendly and courteous office staff members will be happy to arrange a convenient time for you. 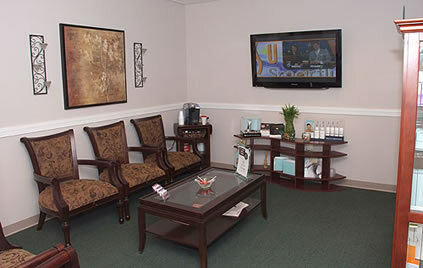 We are fortunate that our office has a high demand for appointments. Our philosophy is to create a schedule for our patients without overbooking and we make every attempt to run on time. In order to ensure that every patient has fair access to schedule a timely appointment, we have adopted the following policy for last minute cancellations and no shows. For non-emergent circumstances, we require at least 2 business days notice of cancellation for routine appointments. If compelling issues are present, please let us know. 732-410-4789, and holding for the after-hours answering service operator. After much consideration we have decided to terminate our contracts with all insurance carriers. If you have out-of-network benefits with your insurance carrier, you may see a physician who is outside of your insurance company’s approved network. Please understand that when you use an out-of-network provider, your insurance carrier can penalize you, resulting in more out-of-pocket expenses, usually with a separate deductible and higher coinsurance. We may ask you to pay us directly, and we will then file a claim with your insurance company on your behalf so you may be reimbursed. Reimbursement is not guaranteed as medical necessity is determined by insurance companies. It is your responsibility to understand your insurance plan and whether or not you have out of network benefits. To schedule a consultation, to learn more about our cosmetic surgery procedures, or to ask more specific questions about our office policies, contact the Thompson Center for Plastic Surgery today at 732-410-4789. Dr. Rudolf Thompson is affiliated with the following hospitals. Centra State Hospital, Jersey Shore Medical Center, Monmouth Medical Center, and Riverview Medical Center. Please keep in mind Dr. Thompson is an out of network physician. We accept Visa, MasterCard, American Express and cash. We will also accept personal checks provided payment is made at least four weeks prior to treatment or procedure. Please note that a $35 charge will be applied to returned checks. Typically, elective cosmetic procedures are not covered by insurance plans. However, our office is pleased to accept CareCredit®, a low-interest monthly payment plan. CareCredit runs promotional programs, at times, that include no-interest plans so be sure to ask Sharon or Erika for current promotional information. You can apply for a CareCredit account right in our office. Please call us at 732-410-4789. We will be happy to answer your questions or discuss options with you at any time.